A 33-year-old Jamestown man was charged with Unlawful Possession of Marijuana on September 30, 2018 following a routine traffic stop. 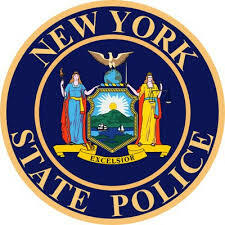 According to New York State Troopers, officers stopped a vehicle on Route 60 in Gerry for a traffic violation and while speaking to the occupants, the Troopers smelled marijuana emanating from inside the vehicle. The vehicle and the occupants were searched and Rashid Jabbar was found to be in possession of a bag containing marijuana. The driver was issued a traffic ticket and Jabbar was issued an appearance ticket. Jabbar is scheduled to appear in the town of Gerry Court next month.